- At Our Festival in 2017, all the performers were women. In an interview, artistic director Pekka Kuusisto said he wished though that this would not need to be singled out for attention in this day and age. “Equality has seeped into the DNA of Our Festival and is apparent in the festival content, although we don’t tout it in our press releases,” say the Kamus Quartet, currently artistically in charge of the festival. 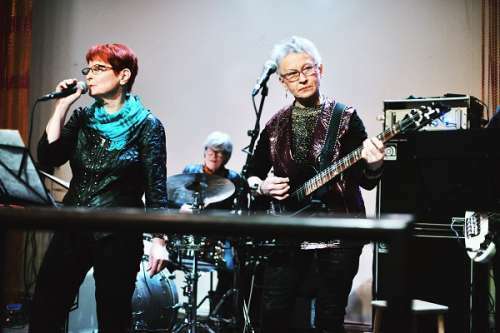 - The performers invited to the FemFest festival in Turku in September 2018 were women, trans and non-binary persons, and men performing with them. “We want to provide a stage for performers who inhabit margins. 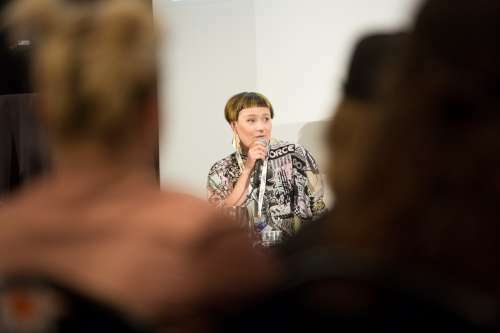 We did not exclude any genres, and artists did not have to be well known or have published widely or have a ton of followers on Facebook to be accepted to perform,” says Tiina Käpylä, producer of the music programme at FemFest. - Provinssirock, one of the largest rock events in Finland, declares on its website that it is 100% equal. The event has a zero tolerance policy regarding discrimination and harassment on the basis for instance of gender, ethnicity, skin colour or sexual orientation. - The Ruisrock festival has committed to ten accessibility promises that it promises to improve continuously. It is also involved with the ‘Music Belongs to Everyone’ project, where materials to support communication are produced employing pictograms and simple language. - At the Tampere Biennale 2018, nearly 45% of the works performed were composed by women. - The Music & Media event requires that all its employees undertake to uphold the equality and non-discrimination principles of the event. These include safety, inclusiveness, gender sensitivity and accessibility. Everyone registering for the event must also commit to its values. - In spring 2018, the Finnish Musicians’ Union conducted a survey among its members concerning sexual harassment in the music sector. The purpose was to explore how common sexual harassment is and what typical situations are like, and also to gain knowledge of how the matter is generally viewed in workplace communities in the sector. The survey revealed that sexual harassment and other discrimination are experienced the most in the music sector by women, young people and freelancers. The survey responses showed that there is a need for addressing harassment, and some concrete ideas on how to do this were also given. - Resonaari is a music institute based in Helsinki that has brought an alternative approach to the Finnish music education system. It facilitates goal-oriented musical activities and vocational education in music for people excluded from ordinary music institutes. - Mental Beauty Records (MBR) is an online community of music creators and performers, aimed at recovering mental health patients who are interested in making music. - Pertti Kurikka (of the Pertti Kurikan Nimipäivät band) has founded a shop and gallery called Pertin Valinta in Helsinki. It has a selection of artworks, recordings and books by ‘outsider’ artists. Pertin Valinta also forms its own art community, 'an outsiders district of Helsinki', organising art workshops and projects and bringing works by Finnish outsider artists to the attention of international audiences. Discussion on equality, non-discrimination and diversity in the music sector in Finland will continue at the Music & Media event in Tampere in 2018. The panel discussion and workshop to be held on 4 October will this time focus on how the "Theses for promoting equality, non-discrimination and diversity in the music sector" can be translated into practical action. The results of a new survey about equality in the music sector will also be presented at this event.